K, Polar, Teebee, Angelzero, Commix and more. 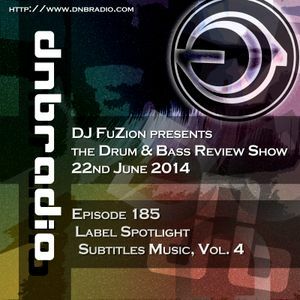 The DnB Review Show. Episode 185. We’ve been here before but there’s seems to be no stopping Subtitles Music. Into volume 4 & we enjoy another hour of this label from Teebee.